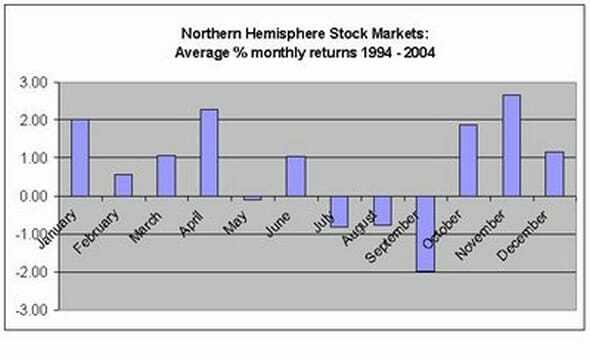 There is a mountain of data showing that the best time to sell stocks is in May and to stay out of the stock market for the following six months. Data shows that the S&P November-April period outperforms the May-October in the past 10, 20, and 50 year periods by over five percentage points on average. Okay, suppose you decide to sell stocks in May, what’s next? If you put that money in a short-term CD, what do you make in interest? With interest rates kept artificially low by the fed, you’ll probably get an interest rate of somewhere between ½% and 1%. If you put that money into a bank savings account, you can expect about the same. Neither is a very viable investment strategy. One option you should seriously consider is a fixed index annuity. A fixed index annuity (FIA) is a hybrid annuity product which takes the best of what other types of annuities have to offer and combines them into one product. A fixed index annuity offers guaranteed lifetime income just like an immediate annuity. But, unlike immediate annuities, fixed index annuities have a death benefit. Also, with an immediate annuity, your money doesn’t have a chance to grow before you start drawing your income checks. Because there is no growth component, your income won’t grow over time to keep up with inflation in an immediate annuity. Fixed index annuities, just like old school fixed annuities, can earn a baseline fixed interest rate over a fixed term. Also, all fixed index annuities provide 100% principal protection. Like variable annuities, fixed index annuities provide the opportunity to participate in the positive performance of the stock market. However, unlike in a variable annuity, your principal is 100% protected against stock market losses. And, fixed index annuities have eliminated the fees involved with variable annuities, making them a much less expensive option for a retirement income solution. Granted, the stock market is at an all-time high, but many speculate that the stock market bubble could burst in the very near future. Another factor to consider in your investment strategy is that the federal government is eyeballing your 401Ks. Still another factor to consider is that the President’s proposed budget seeks to cap IRAs at $3 million, which is roughly half of what the President himself will receive in retirement benefits. With all the turmoil and uncertainty in the world today, millions are searching for the best solutions to protect their retirement assets. I highly recommend that you sit down with an expert in retirement planning. If not us, please visit someone who is qualified, experienced, and highly recommended. I’d like to personally invite you to watch our free video series titled “Securing Your Retirement Future“. This series is designed to help educate you on how fixed index annuities work and how you can use them as part of your retirement income planning. After viewing the series, please feel free to schedule an appointment to discuss your needs or call us at (866) 903-4700 if you have any questions. We look forward to hearing from you!